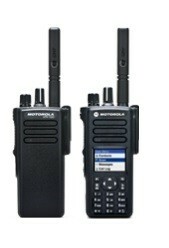 Wireless Two Way Radio is the original wireless communication for teams of people. Primarily started for the military and police, the systems have evolved to cover every feasible business scenario where teams of people on the move are involved (i.e. not bound to a desk). These systems are generally private and controlled by the FCC. Two Way radios came about in the 30's and though the technology has evolved, the basic concepts are the same and so is the value proposition. Although cell phones are a dominant form of communication today between people, nothing can compare to two way radio systems for team communications that require a coordinated effort over a geography. From Police to Supermarkets, two way radios still rule.